This blog is part of a series on the Energy and Sustainable Urban Development in Africa workshop, 17 – 21 November, 2014, University of Cape Town. For more details on the purpose of the workshop, see this blog. Day three of the CPD course concentrated on the household energy poverty challenge in African cities, focusing again on Uganda, Ghana and South Africa for case studies. Energy is a cross-cutting issue in the household services sector, affecting areas such as health and life expectancy, food service and nutrition, water supply, and other basic life experience factors. Currently 43% of South African households are living in energy poverty, defined by the government as having a greater than 10% expenditure of total monthly income on energy services. Informal households make up approximately 70% of the 3.6 million households in the country without electricity access currently. 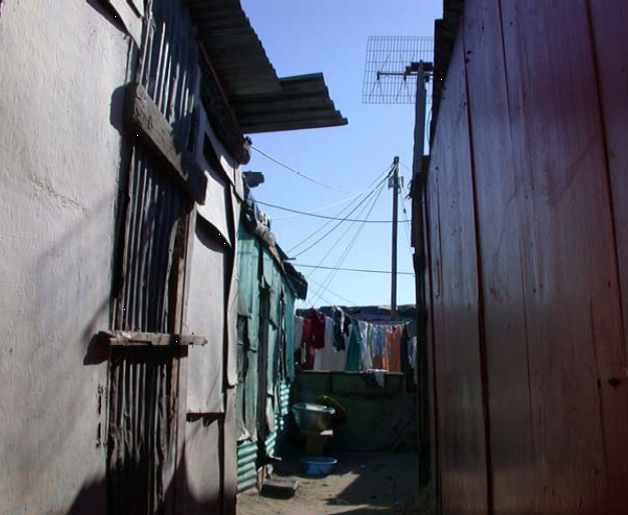 A number of factors lie behind this: from a policy perspective, the inclining block tariff and free basic electricity policies in the South African electricity sector only apply to electrified households, meaning households without electricity services, often the poorest, do not benefit from these initiatives. A lack of access to appropriate, clean, safe, sustainable energy sources also forces households across the three countries to use expensive, unsafe but accessible fuel choices, such as paraffin or traditional wood fuels. Following presentations on the current situation, City of Cape Town municipal energy & climate change department’s representative Andrew Janisch gave details on the City’s low-income energy services strategy. 265,000-360,000 households are currently part of the backlog for electrification by the city, and 500,000 households in the city live on less than R3,600 per month. In the face of this challenge, the city has embarked on a wide array of initiatives to improve urban energy services for the poorest, from Solar Water Heater dissemination on social housing projects to improving coordination and innovation in service delivery models and approaches. Key opportunities and lessons from the strategy include the necessity of coordination between municipal departments on energy, from tertiary education to housing to labour. “Radical” approaches and risk-taking, including the need for agility and flexibility institutionally, were also highlighted as useful approaches and factors. Finally, the critical nature of making the financial and business case for sustainable energy and energy efficiency was once again highlighted, as a route to improving acceptance and buy-in from municipal departments. Professor Trevor Gaunt from the University of Cape Town led the afternoon session on informal settlement electrification. Challenges to the common perception of the goal of electrification were a key theme of this presentation, and Prof. Gaunt proposed considering electrification on a socioeconomic and social basis, as well as the purely economic case for development. In addition, in challenging the common perception and approach, arguments were made for grid electrification in peri-urban areas, given the fact that dense populations can benefit most from grid economies of scale, rather than using off-grid solutions in these circumstances. The latter half of the afternoon was dedicated to two field trips for the workshop participants, to the Blackriver Parkway office complex, and the iShack project in Enkanini, an informal section of Kayamandi, Stellenbosch,, a sustainability and off-grid electrification organisation. Blackriver Parkway is leading the way in embedded generation in South Africa commercial institutions, and currently has 1.2MW of installed photovoltaic capacity over three buildings. This mitigates the vast majority of the complex’s grid electricity demand, and great care has been taken to optimise the installations to closely match the demand curve of the complex. This has been achieved partly on the supply-side, through panel positioning to provide constant peak outputs over the course of the day, as well as on the demand-side, through the managing company investing in user education and buy-in for the complex’s client organisations. 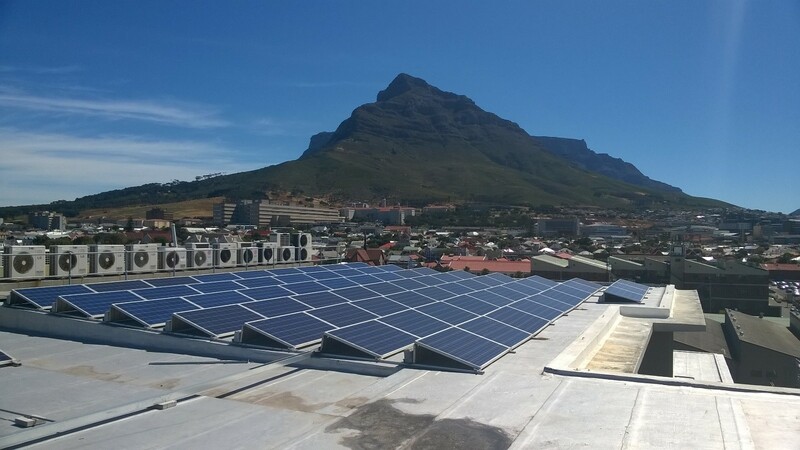 As legislation in South Africa is preventing organisations being net electricity contributors to the national grid, the complex generates the vast majority of its needs across the day from this solar installation. This project has become the first to legally transmit electricity back into the City of Cape Town’s electrical distribution network. The iShack project in Enkanini is designed to provide the gamut of sustainability options to informal settlement dwellers, acting as a demonstration on how informal settlements can be more energy efficient. This covers insulation, biogas, wastewater treatment and water collection/saving, as well as off-grid electricity solutions through solar home systems. More details on the iShack project can be found in the following blog. This entry was posted in Administration and tagged Blackriver Parkway, Electrification, Energy, Energy Poverty, Enkanini, Entrepreneurship, Household Energy, Innovation, Insulation, iShack, Legislation, Paraffin, Peri-Urban, Policy, Public Health, Renewable energy, Social Housing, Solar Water Heating, Space Heating, Sustainable Energy, Woodfuels on December 19, 2014 by danielkerrucl.